We are actively recruiting individual volunteers for our weekday project crews, and to assist with other task supporting our work in the community. If you are interested in volunteering in an capacity, please contact us at : info@rebuildingtogethertriangle.org Thank you! ATTENTION: We have filled our slots for our 2nd session of Readers as Leaders! The session runs Feb/March to June 2016. In the meantime, contact elaine@dpfc.net for other volunteer opportunities DPFC has to offer. Executive Service Corps of the Triangle seeks skilled executives and professionals to work with our team of dedicated consultants. We work with agencies from all areas of service throughout the triangle. Live in the Triangle? Have an active local network or looking for opportunities to meet people? Get your friends or networks together to share an afternoon or evening of live music. Your plans can include a social component before or after the show. The Open Door Clinic is looking for bilingual (English/Spanish) individuals who have 3 yrs of court or medical/clinic interpreting experience to translate in the clinic. Help Amazing Students From Around The World! Help make their dreams come true! The Friends of Wake Guardian ad Litem is searching for a dynamic person interested in serving a voluntary two year term on our board that has experience in fund raising for non-profits. Experience with grant writing would be a benefit as well. On Tuesdays and Sundays at sunset, the farm staff needs someone to do one final check on the farms’ animals and close the door to the chicken coop. This is about a 10 minute commitment. 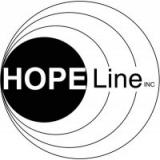 Hotline and textline responders with HopeLine are trained in active listening to provide the best caring, nonjudgmental support and resources possible to those in times of crisis. Use your talents to encourage, guide and train young athletes, grades K-5, at the Y! Each soccer league features one practice and one game each week. Volunteer coaches are carefully trained to work with children, build skills, and encourage character development. The community benefits greatly from The Family Store (Monday-Saturday, 9:00AM-5:00PM). Donations are sold at a very low price, allowing families who may not be able to shop elsewhere to purchase affordable, good quality clothing.